I could never write and express myself about love. Do all those cute and intelligent descriptions that seem so easy to say when actually they aren´t because they always need a good dose of inspiration and above all a good dose of life experience sometimes only poets (but not any poet) can describe, define and feel what love really is because in my opinion not everyone can feel and most importantly enjoy what love gives us. Love will never equate to death because love is life; love makes us feel alive and happy. I usually say that love is like a beginning with no end unless we don´t want to. 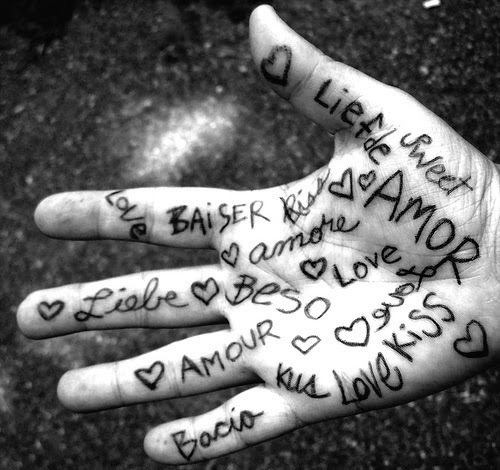 Although we can talk about love – it´s not easy but it is possible- it cannot speak for itself. Love is similar to a song because both don´t have a language, they have a soul. Love doesn´t match with dependence in the same way that respect is not similar to obedience. They are very different things and make for different reactions. We belong to anyone. We are together and in touch but we´re n property of other people – everyone calls it freedom! Love can lead to several consequences: some are good, others are cruel. You can be happy with love but when it becomes a drug and you´re addicted it may end your life physically and socially. Love that ends with your life and makes of you an addict is not true love because this kind of love is immortal. Love is not part of our bodies. It belongs to our soul.